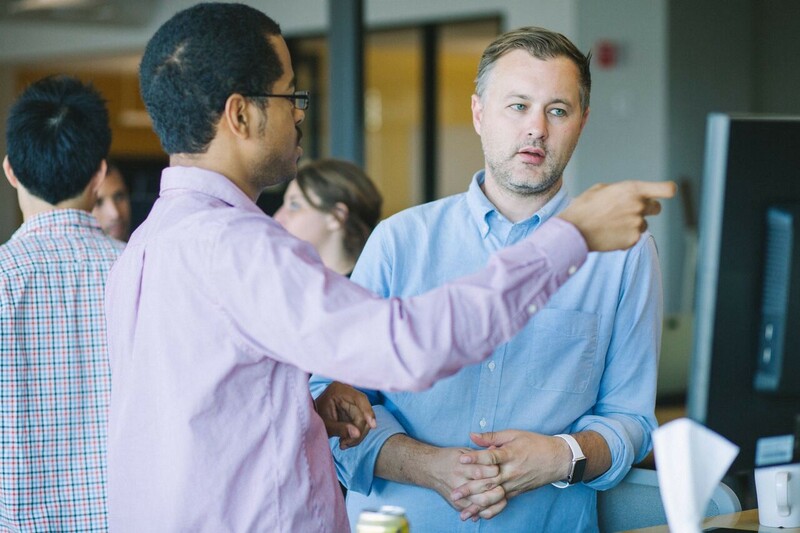 Design is hard—that’s what I hear from design leaders at every company I visit. As the VP of Design Education at InVision, I study how design works and breaks in businesses. After nearly a decade of leading product teams I know first hand that design is indeed hard, even at a company that values and invests in it. What makes it so difficult? There are organizational challenges, people challenges, and process challenges. Each seems monolithic in its own right, but when you stack them up they feel daunting. I once thought that the challenges I faced as a design leader were unique to my situation, but I know now after interviewing many design leaders they’re common to almost every team. I find it comforting to know I’m not the only one who has struggled, and not because misery loves company (though it does). If these problems are common, then chances are we can find solutions. Agile has become the law of the land and it has redrawn team lines on many an org chart. Designers are finding themselves embedded in cross-functional teams with engineers and product owners. It’s a great opportunity to learn from others with different perspectives, but it often leaves designers craving the feedback and camaraderie of other designers that’s needed to improve their craft. 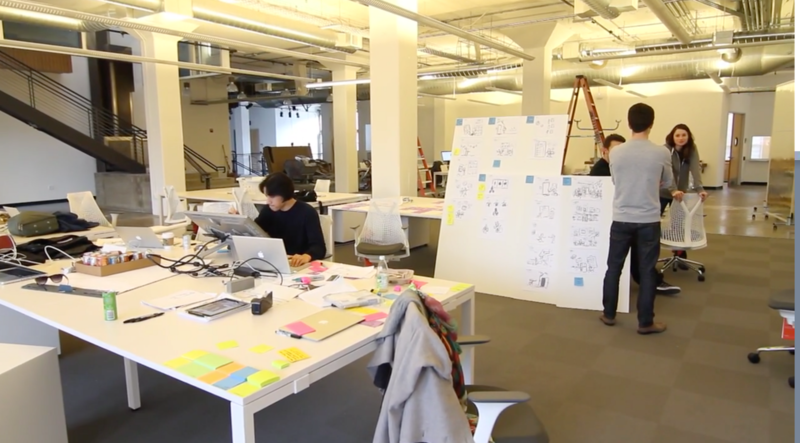 In isolation, many designers feel their growth has stagnated as has their career. Designers disenchanted with their work can find themselves searching for greener pastures where their creativity can be more freely expressed. Outnumbered as they often are in cross-functional teams, designers acquiesce to engineers who encourage smaller design iterations and a simpler approach. Do we really need that animated transition? Does it add much value? It’s difficult to champion the necessity of small details when you’re the lone designer. Many simply give in and get back to work. Exceptional design is almost impossible to achieve when corners are continuously cut. I see a few strategies emerging as companies recognize the challenges of cross-functional product teams. Some companies like Spotify and Envato are experimenting with design guilds which bring designers from many teams together for regular design reviews and discussion of design strategy and style. This approach helps designers get the feedback they need to grow, but still doesn’t address the awkward power dynamic of being the only designer in a product team. Slack pairs designers on projects so they get the feedback they need to work through ideas quickly and thoroughly. Other companies are simply moving designers back to a dedicated design team where creative exploration and design vision come more easily. The pitfall here is that design and engineering aren’t afforded as much opportunity to collaborate and learn from each other. Perhaps there’s a middle ground? I’ve seen success from temporary product teams in which designers and engineers tackle a big project together then return home to their respective teams. It lets these differing cultures build rapport without totally assimilating as they’re forced to do in a cross-functional team. The jury is still out on how we’ll solve the problems of team structure. We need to experiment more and compare notes. As teams divide to specialize on domains or areas of a product, the shared vision for the product can get lost. Designers feel the loss of a product vision most acutely as they need a North Star to guide their design systems. Design leadership is needed to define vision that extends past the incremental improvements of sprints. Some design teams create large boards that show design style or tell the story of how their product will fit into the lives of their customers. Others create short videos to illustrate to all how the product will fit into the customer’s lifestyle. Airbnb worked with Pixar illustrators to create storyboards that showed how their products would fit into the lives of their customers. Their storyboard gave everyone a vision of the product experience they wanted but still gives each team the freedom to solve the problems as they see fit. As a company grows and acquires other companies, product UIs quickly become a hodgepodge of styles creating a clunky user experience. Inconsistent UIs bloat code, are difficult to maintain, and make new product ideation inefficient. Large enterprises like IBM, Atlassian, Salesforce and Westpac are starting to invest in design systems that not only standardize UI with a library of patterns for designers and developers to follow, they’re also adding user personas and broad design principles to their systems. Design systems work best when they’re managed by a dedicated team. There is a new type of team emerging around design systems: Design System Ops. Spotify’s design guilds regularly communicate with their design system team to keep their UIs and code efficient across platforms. Designers struggle to speak the language of business as a company scales. They have to interact with new executives and engineers and communicate the ideas behind their work and how it will help the business succeed. They can’t get lost in the weeds talking about typefaces, they need to talk about empowering customers. Designers need to learn more about the business they serve and business in general. They need to get to know the people in charge and ask questions. Despite the impact design has on the success of a business, it’s rare to see a designer in an executive position. There are many reasons for this, not least of which is that design leaders need to become adept at speaking the language of executives. The C-suite is dominated by talk of statistics and data, territory that can be uncomfortable for designers as our work is not always quantifiable. That doesn’t mean it’s not creating value, though. When a business grows, more people need to come together to ship great things. Designers who succeed in large organizations create social capital by developing a rapport with colleagues across the organization. Product design in large organizations is not a solo activity. Take off your headphones. Get up and talk to people. Designers who don’t make an effort to work across teams will inevitably be deselected from their organization. Count on it. Get in the habit of grabbing lunch with a developers. No need for an agenda — just get to know each other. Spend time with researchers who have their finger on the pulse of your customers, sales people who hear frequent requests, and customer service agents who know where users struggle the most. All have valuable context to offer. Each one influences the success of the product. As designers become connected to colleagues on other teams, not only will their designs be more informed, they’ll also create inroads into their work, putting design on everyone’s radar. In the early days of a startup everything that’s shipped feels big and innovative. As the product matures and the customer base grows the company will be much more conservative in what it ships, valuing optimization and stability over innovation. Everything gets broken into small sprints that can feel incremental, not innovative. Many designers find this frustrating as the problems may seem less interesting. Designers need a safe place to explore new ideas. Teams can schedule 20% time to explore new concepts for existing products or for brand new ideas. Some companies establish a dedicated R&D team to fuel innovation, or plan creative retreats where a team can experiment. Companies that lose touch with experimentation will find barbarians at the door soon enough, ready to disrupt their business. Early on there are a select few people who create product strategy and the roadmap. But as a company scales there are more stakeholders involved in the process. Things slow down as more teams need to touch the product before shipping. Designers who were involved early on can become frustrated that they can’t move as quickly as they’d like, and may find themselves looking for another company still in the early stages of development so they can tackle problems quickly once again. It’s important to remember that speed isn’t everything, though. Large companies may move slower, but often have far greater influence than scrappy startups. Shipping slower but reaching more people can be satisfying too. Does any of this resonate with you? If so, know that you’re not alone. Every company I’ve talked to regardless of their market sector is wresting with the same issues. But seeing the patterns makes it easier for us to find solutions. How are you solving these problems in your organization? Are there other problems you’re confronting? Let’s spark an honest discussion in the comments of this article. There’s so much we can learn from each other.